I’m always drawn to pretty stationery and pillows. Like a moth to a flame. A fat kid to a cupcake. Paula Deen to butter. 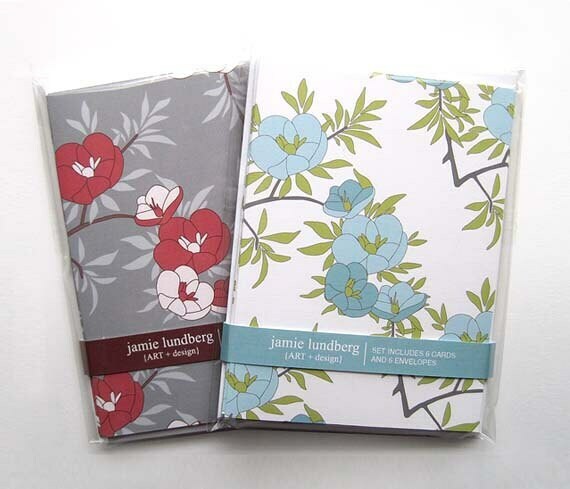 Everything in the Jamie Lundberg shop is adorable. Don’t take my word though, feast your eyes on these cuties. See something you like? Good! Here’s all the info you’ll need for a chance to win. 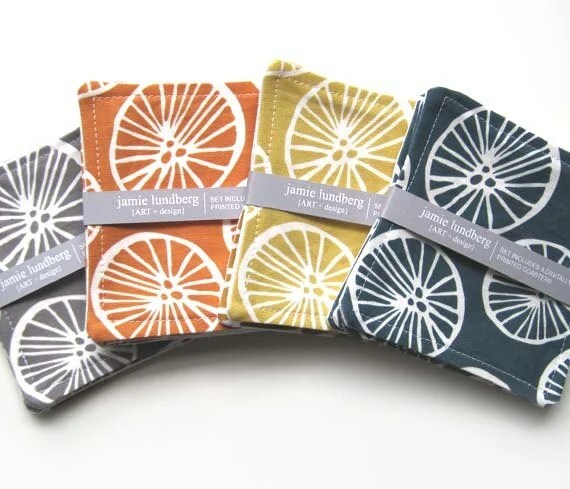 The Goods: A $25 shop credit good for or toward anything the the Jamie Lundberg shop. Just for Fun: What inanimate objects you’re most drawn to? Mirrors? Purses? Washi tape? Nail polish? Contest Closes: Thursday, October 4th at 11:59 pm, central time. Other Info: We will select the winner using random.org and announce on Friday, October 5th. Good luck!! Jackets! I have a real problem with owning too many! I am obsessed with anything rustic/vintage at this moment. Cant seem to stay off etsy looking in the “vintage” section! 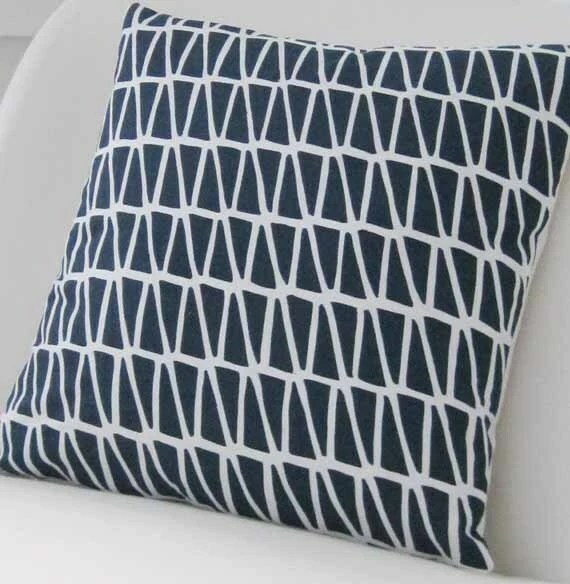 Love the pattern on the pillow! I am a sucker for fabrics… or home decor stuff at thrift stores in general. I can’t leave empty-handed! I’m drawn to everything that is lime/neon green. I’m addicted to buying fabrics, althought don’t have much time to make anything! Lately I have been drawn to candles and pillows but that could change next week! I love enamelware. And fabric. And buttons. And vintage linens. Office supplies! Is that weird?! Shoes are my weakness – big time. Right now it’s boots for fall (even though I already have 5 pair!!). I am addicted to blogs! Especially anything home related 🙂 Does that count? I’m drawn to nail polish. Strangely enough, I never paint my fingernails, only my toe nails. But I probably have 50 different things of polish. And I’ll go an entire season painting my toes the same color. I also love tea pots. I’m obsessed with collecting them. I probably have about 10 so far, and I plan on expanding that, especially once we have a bigger house (with more room to put stuff). Cheese is inanimate, right? So, cheese! office supplies. specifically sharpies, binder clips, paper clips, and duct tape. i cant resist. White pitchers and platters are pretty much top of my list of loves–and pretty printed paper and card stock for card making–I have hundreds of pieces and “books” of all kinds of prettiness….. I cannot, CANNOT turn down bookends for the life of me. Right now I’m addicted to colored skinny jeans! Old Navy has them on sale this week and my husband had to cut me off. Sad day! glass bottles….love them! Fell in love with them during my time in Italy. Copper – candlesticks, jewelry, frames, trays, etc. Thanks for your fun blog. Purses and shoes, but purses first! I love color and patterns too! I’m always drawn to brick, jackets and ampersands! Thanks for the chance! Anything that is the “mini” version of the real thing. I HAVE to have it! Wow, what wonderful products! I’m loving the coasters! I am really drawn to cardigans. I probably have one in every color/ pattern possible. Measuring spoons and cups. I just can’t help myself! Milk glass. I have so many pieces and just want more! Clothes!!! I love clothes and buy them when ever I can. I’m drawn to decorative vases. My house is already too full but I just keep buying more! Anything yellow. I’m like a moth to a flame. Garden stools at TJ Maxx/Homegoods. Buy ’em every time I see ’em. I’m always drawn to pillows for some reason. Birds! Mostly ducks, I don’t know why! Maybe it’s because they sound like they’re laughing. But I just love duck figurines!! I love any pottery that is blue and white. Odd figurines and statues always catch my eye! I’m drawn to owls, especially ones that are made out of fabric. I think I am drawn to mirrors, some people make comments about how many there are in my home! I love the geometric patterns that are so popular now. Rings! I have about 100 but still only manage to wear the same two over and over!! I am drawn to containers… jars, baskets, bottles, little wood or metal boxes. I like the different shapes and colors of glass and the different textures/styles of baskets. Anything turquoise. Pillows, fabric, glass, art, paint, you name it! Cute coasters! I’m drawn to containers that I never fill. I am drawn to things for my home, like candles and pillows. They’re so pretty!! Statement necklaces and yummy smelling candles! My inanimate object is bowls! Pretty! I can’t think of an answer to the just for fun question! i’m always drawn to pillows and fabric!!! I am drawn to anything with a sausage dog on it! Especially pillows! I seem to have a lamp fetish. I love lipstick. I have two make up bags full of just lipstick. I absolutely love pretty wrapping paper & ribbon! I’m in love with rusty old hardware! I can’t seem to resist pretty notebooks or anything Paris related 😛 I also love Post-it notes. Can’t get enough! I am drawn to anything aqua, old Ball jars, especially. I am in loooove with this giveaway! And I have always been drawn to beautiful lamps, walking through the lamp isle in Target is my own personal heaven. I am drawn to paper and purses! My husband just rolls his eyes when I comment about needing to stop at a craft store, or to look at purses in the mall! ooh I love that pillow. I’m a huge fan of nail polish. Buy it all the time! I am always on the lookout for different shaped mirrors! I am drawn to fabrics. Books! Thank goodness for the invention of ebooks or my house would be overflowing with them. I love all paper things, pretty stationary and wrapping paper are my weakness. Anything that sparkles! I’m like a 4year girl old like that. I am addicted to refinishing/covering chairs. Rustic/reclaimed wood and/or white ceramics. Mmmm. I can;t pass up note cards and my family makes fun of me for having so many “wall hangies” – frames and things for the wall! I am drawn to anything that has a turtle on it. And less specific, office supplies! Picture frames… Any variation of white. I am drawn to fabrics and yarns!